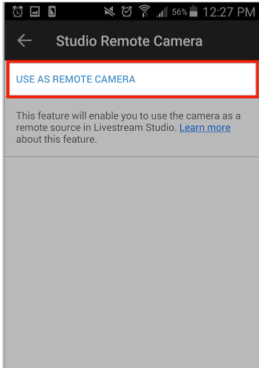 Livestream Studio allows you to use your Android device as a remote camera source. 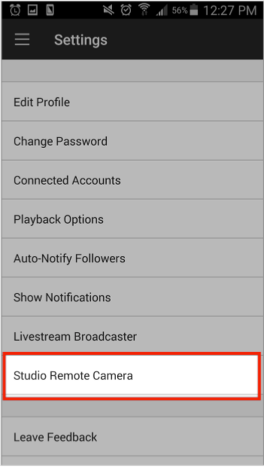 You will need a Livestream account in order to use this feature. Download the Livestream Android application. Connect your Android device's Wi-Fi to the same network that your Livestream Studio system is connected to. Open the Livestream Android application. 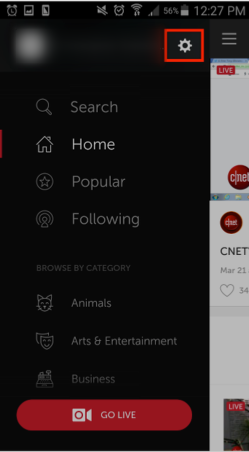 You will need a Livestream account to proceed with using the app. Don't have a Livestream account? Tap Continue with Email, then Sign up. 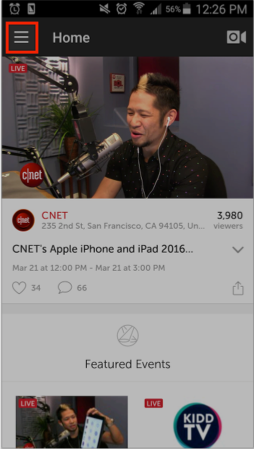 This will create a free account on Livestream and grant you access to the app's features, including remote camera. Keep in mind this will not allow you to go live to Livestream unless you pay for a plan. Tap the menu icon in the upper left corner, then the gearwheel. This will open your settings menu. Tap Studio Remote Camera. Tap Use as Remote Camera. This will activate your Android device as a live Remote Camera source. The notification will read "Waiting for Studio to connect..."
You can hold your camera at portrait or landscape mode; the picture will still hold a 16:9 aspect ratio. 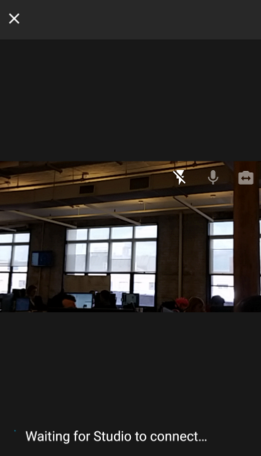 In Livestream Studio, navigate to the Inputs tab in the lower left corner. Select Add Input > Remote. If your Android device is connected to the same access point as Studio, it will appear in the list of remote devices for you to select from. 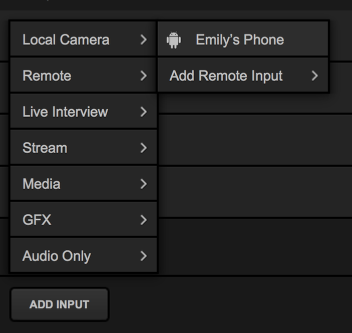 The Android remote camera will be added to the bottom of your Inputs list, where you can choose a different remote camera and see the connection status (e.g. "Perfect streaming"). Click the corresponding gearwheel on the right to access additional settings. 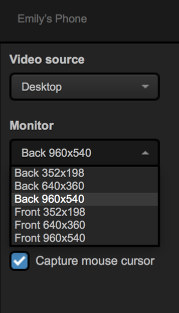 You can adjust which camera your device is using (front or back) by opening the Monitor drop-down menu. Make sure the remote system is on the same network, connected to the same Router or Access Point as your Studio system. If the system is on the same network but using a different access point, the Remote Camera will not properly connect. Check that Bonjour Service is started.